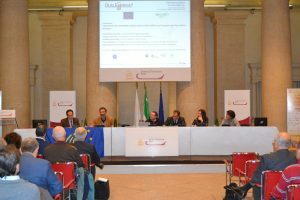 The 4th Legislative and technological workshop took place on November 29 at the conference hall of the renovated Roman Temple of Emperor Hadrian, within the activities of the 10th Qualenergia? Forum, a two-days event dedicated to the energy sector. The first session of the day, focusing on the connections among the organic sector and the Italian energy business areas and their potential contribution to lower the greenhouse gas emissions, represented an opportunity to explain the LIFE+ ORGANIKO project, and to compare and analyse the organic supply chain and how it is linked to the sustainable energy production business. The speakers involved were Roberto Calabresi from Kyoto Club who co-ordinated the session, Rachele Invernizzi – Federcanapa Vice-President – who illustrated the positive aspects of the hemp cultivation in Italy, Andrea Ferrante from Città dell’Altra Economia, Piero Gattoni president of the CIB – Italian Biogas Consortium, Maria Stella Scarpinella – president of Agrospot and currently working in the Kyoto Club International Unit, and David Chiaramonti from FREE – Renewable Energy Sources and Energy Efficiency Coordination. 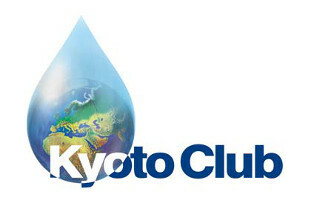 Roberto Calabresi, Coordinator of Kyoto Club’s Agriculture and forests Working Group, introduced and illustrated the Life Organiko project, emphasizing, considering the past month’s heavy climate change effects on agriculture, the importance of OF and its contribution in adaptation and mitigation efforts, which need to be increased with a growing support by EU, national and local institutions. Rachele Invernizzi, (www.federcanapa.it), Vice-president of Federcanapa, Federation of Italian hemp. 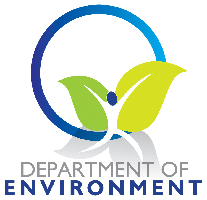 She outlined the industrial use of products derived from hemp in the field of green building and the different possible applications of industrial hemp. Andrea Ferrante, President of the City of the Other Economy (Rome), (www.cittadellaltraeconomia.org/) has highlighted the ethical, social and cultural dimension of organic agriculture that puts the “peasant – man” back into the center as the guardian of the territory and the environment. This is due to its abilities due to the deep knowledge of its territory that leads to the protection of what gives it work and well-being: the environment and the surrounding nature. This activity is best achieved through organic farming which allows improved fertility and healthiness of the soils. corn. He announced that CIB made and agreement with FEDERBIO – the Federation of Italian national Associations of farmers and other operators involved in all stages of organic and biodynamic agriculture – to build a completely organic biogas supply chain having as output a digestate that can be used in organic farms as fertilizer. Maria Stella Scarpinella, illustrated the financial resources currently available for the organic sector at EU, national and regional (in the Lazio Region) level. 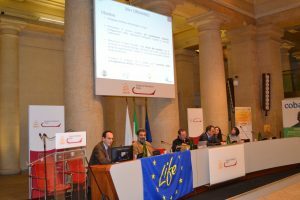 David Chiaramonti, representing the National Coordination FREE, described the numerous existing technologies for the production of green and sustainable energy in agriculture, highlighting the positive and negative aspects.